Silicon Valley’s usually viewed as the epicenter for the purported self-driving car revolution that’s before us, but a new study says traditional automakers are ahead of the curve when it comes to making that dream a reality. 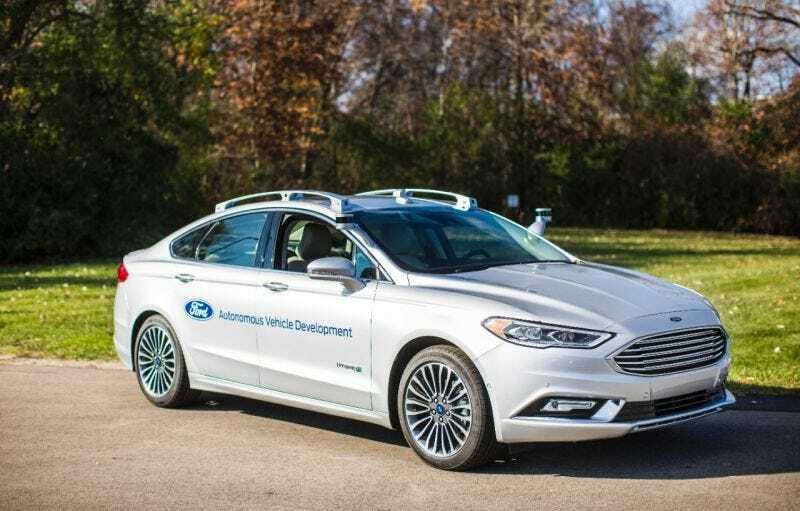 The independent study from the firm Navigant reviewed 18 companies, based on everything from manufacturing capability to strategy, puts Ford at the top of the list, according to Techcrunch. The study broke the automakers and autonomous tech developers into four groups—Leaders, Contenders, Challengers, and Followers—and ranked them based on execution and strategy. Ford and GM, which have stressed their commitment to investing in autonomous tech over the last couple of years, lead the pack, followed by Renault-Nissan, Daimler and Nissan. Tech titans like Google’s Waymo and Tesla fall within the middle of the so-called Contenders. No doubt that’s a cut at the Ubers of the world. It’s still very early in the autonomous car race, but this study suggests a prevailing wisdom in the auto industry will be prevalent for some time to come: It’s hard to build—and manufacture—a goddamn car. Apple and Google came to grips with that last year, and we’ll standby to see if Tesla can handle an onslaught of Model 3 orders this year.